Inspired by the ultimate beauty of plum blossoms blooming in the snow, Sulwhasoo, Korea’s leading luxury beauty brand, presents Sheer Lasting Gel Cushion, which creates a fresh-looking radiant look with the combination of the melting gel texture and the micro mesh. Designed to meet constant needs for a natural makeup look and leading beauty trends, Sheer Lasting Gel Cushion helps you achieve healthy and fresh-looking radiant skin with its superb adherence and staying power. The melting gel texture, which reacts to the skin’s temperature, melts into the skin for a fresh-looking, radiant skin complexion. The micro mesh provides protection against external contamination and helps deposit an appropriate amount of the product evenly on the puff, enabling better adherence to the skin. Moreover, infused with antioxidant-rich sea buckthorn berries with a high concentration of vitamins and minerals, Sheer Lasting Gel Cushion makes the skin look radiant. Coated with skin-friendly ingredients, the powder adheres comfortably to the skin for a natural-looking radiant appearance. The 3D-shaped puff that comes with the compact hugs the facial contours to deliver a natural, flawless coverage. Available in six shades such as No. 15 Ivory Pink, No. 17 Ivory Beige, No. 21 Natural Pink, No. 23 Natural Beige and No. 25 Sand Pink. 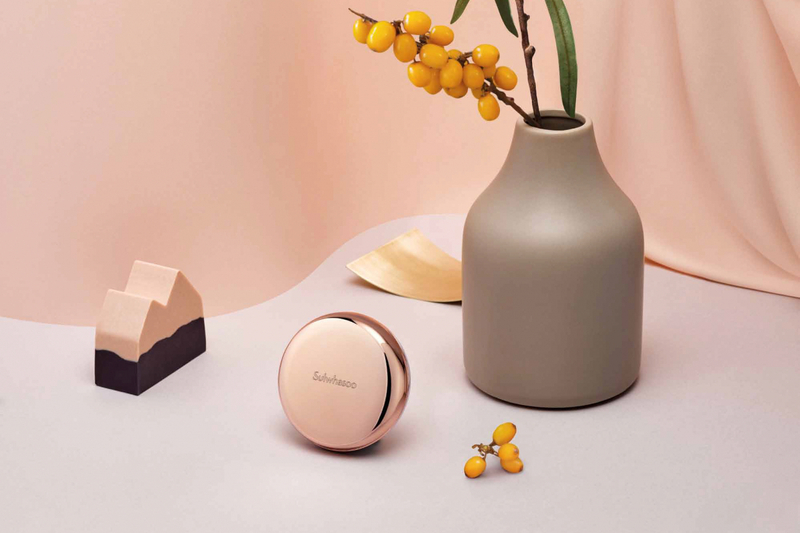 Sulwhasoo, Korea’s leading luxury beauty brand, presents timeless beauty, conveying the true aesthetics found from the philosophy of harmony and balance, tradition and modernity. The Sulwhasoo brand gains wisdom from the laws of nature, pursues beauty reminiscent of nature with precious natural ingredients and delivers beauty of harmony and balance between the body and the mind by creating beauty from the inside out. Sulwhasoo globally promotes the value of holistic beauty with the legendary ingredient such as the Jaum Balancing ComplexTM and Korean ginseng, which contains the wisdom of Asia, with Sulwhasoo’s unique cutting-edge technology. As of 2018, Sulwhasoo has established itself as an authentic global brand, operating in 12 countries around the world such as South Korea, Mainland China, Singapore, Hong Kong (China), Thailand, Indonesia, Malaysia, Taiwan, Vietnam, the US, Canada and France, by conveying Korean traditional beauty and value to all around the world.